Kokiʻo ʻula is found in a few dry forests of eastern Kauaʻi. 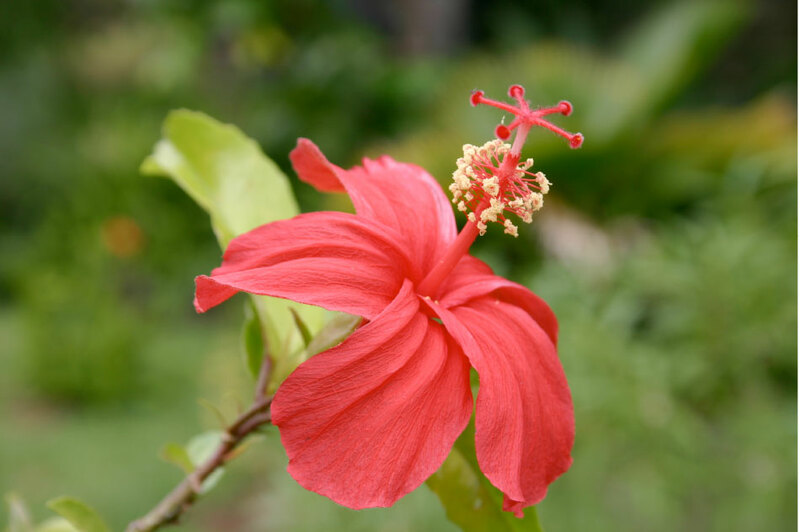 The generic name Hibiscus is derived from hibiscos, the Greek name for mallow. In 1928, Albert W. Duvel discovered several small hibiscus trees on Kauaʻi that were damaged by cattle. He brought them into cultivation, which proved to be a new species. Isa and Otto Degener named these plants Hibiscus clayi, after the late Horace F. Clay, a horticulturalist and instructor of botany at Leeward Community College (LCC) on Oʻahu. Margaret James Roe, in her studies of the genus Hibiscus in Hawaii, found another species on Kauaʻi and thus named it Hibiscus newhousei, but is considered as a synonym of H. clayi. Kokiʻo is the name given for this species, and ʻula is red. With so many flowers nearly always available, Clay’s hibsicus makes a beautiful lei. The early Hawaiians would eat the flowers to settle an upset stomach.